BUIES CREEK, N.C. – Campbell looks for its second straight road win Saturday, traveling to Pioneer Football League in-state rival Davidson. Kickoff is set for 3 p.m. at Richardson Stadium. Listen to Saturday's broadcast on the Campbell Digital Network, or watch at davidsonwildcats.com. Live stats are also available at davidsonwildcats.com. Campbell (4-4, 2-3 PFL) dropped its second straight home contest, a 31-27 seesaw battle to Morehead State in its last outing. Christian Robinson's two-yard touchdown run with 14 seconds left lifted the Eagles to the PFL win. A Barker-Lane Stadium record crowd of 6,580 witnessed the lead change four times in the fourth quarter. Morehead State’s 31 points marked a season-high allowed for the Camels, who still rank 11th in the nation at 16.9 per game. 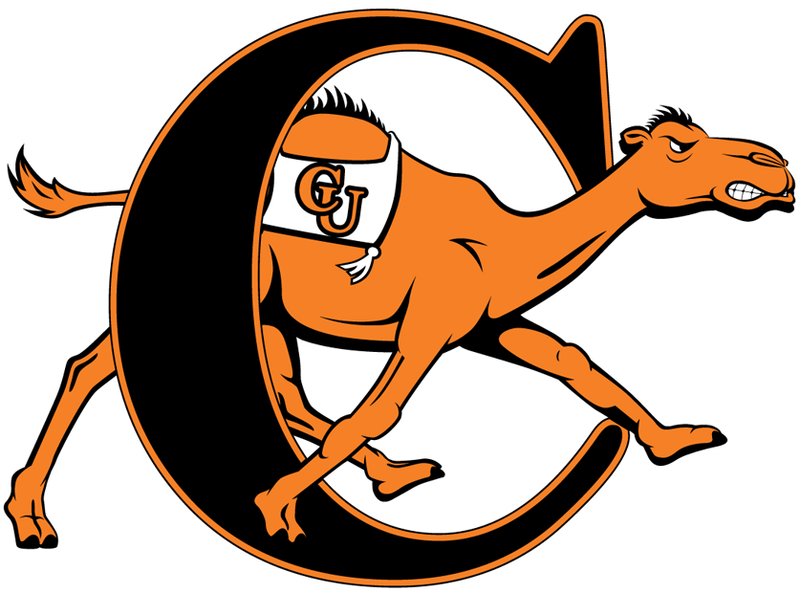 The Camels, already with a school record 29 sacks on the season, have registered 20 over the last four games. Campbell also owns 34 tackles for loss over that span, led by 5.0 each from Greg Milhouse and Jack Ryan. Jake Barr leads the team for the season with 55 tackles. Defensive line duo Ugonna Awuruonye and Greg Milhouse have combined for 74 tackles and 15.5 stops for loss this year. Awuruonye adds a team-high 5.0 sacks, while Milhouse tops the squad in tackles for loss at 8.0. Junior running back De’Shawn Jones has paced the Camels’ offensive attack with 745 yards on the ground and three touchdowns. Jones’ 745 yards ranks second in CU single season history (Brian Hudson, 884 in 2013) while leading the PFL. Kameron Bryant has tallied 1,280 passing yards and 10 touchdowns, dishing a combined 496 yards and five touchdowns to Andre Davis and Aaron Blockmon. Davidson is 1-6 overall and 0-4 in PFL play so far this season, falling 31-10 last weekend at home against Marist. The Wildcats’ lone win of the 2015 season came against Kentucky Wesleyan 14-7 in overtime on Oct. 10. Wideout William Morris leads the Wildcats with 397 receiving yards and five touchdowns. Ben Hart paces Davidson on the defensive side with 45 tackles, including 1.5 sacks. Davidson leads the all-time series with the Camels 4-3, but Campbell has taken the last two meetings between the two North Carolina-based PFL foes, and three of the last four. Campbell took last season’s contest 28-27, and won 47-14 in its last trip to Richardson Stadium.